Three ORBACTIV® vials are packaged in a carton to supply for a single 1200 mg dose treatment. ORBACTIV® is supplied as sterile, white to off-white lyophilized powder equivalent to 400 mg of oritavancin in a single use 50 mL clear glass vial. 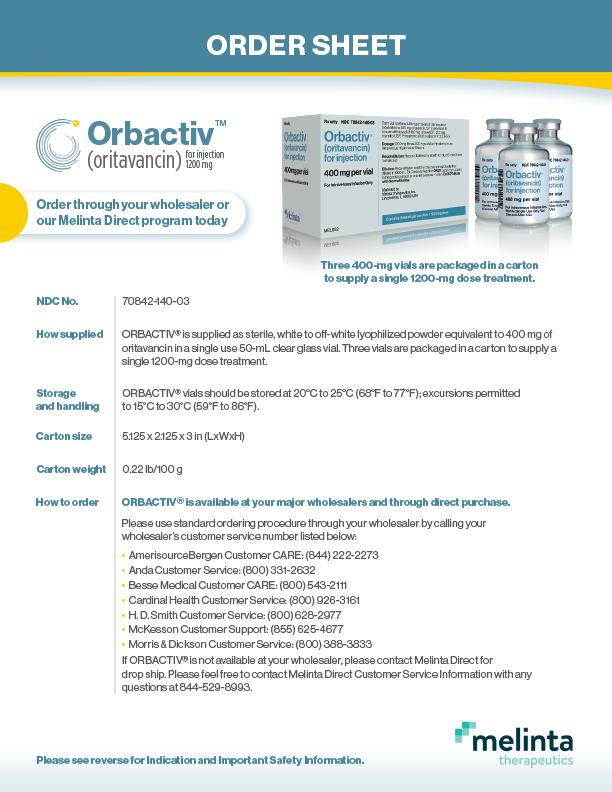 ORBACTIV® vials should be stored at 20ºC to 25ºC (68ºF to 77ºF); excursions permitted to 15ºC to 30ºC (59ºF to 86ºF).